Happy Friday! It's Paula, back home in St. Louis after being in the South for the past three weekends in a row, & I'm already missing it! When I get homesick, I dream of ways to bring a little taste of something southern into my life. 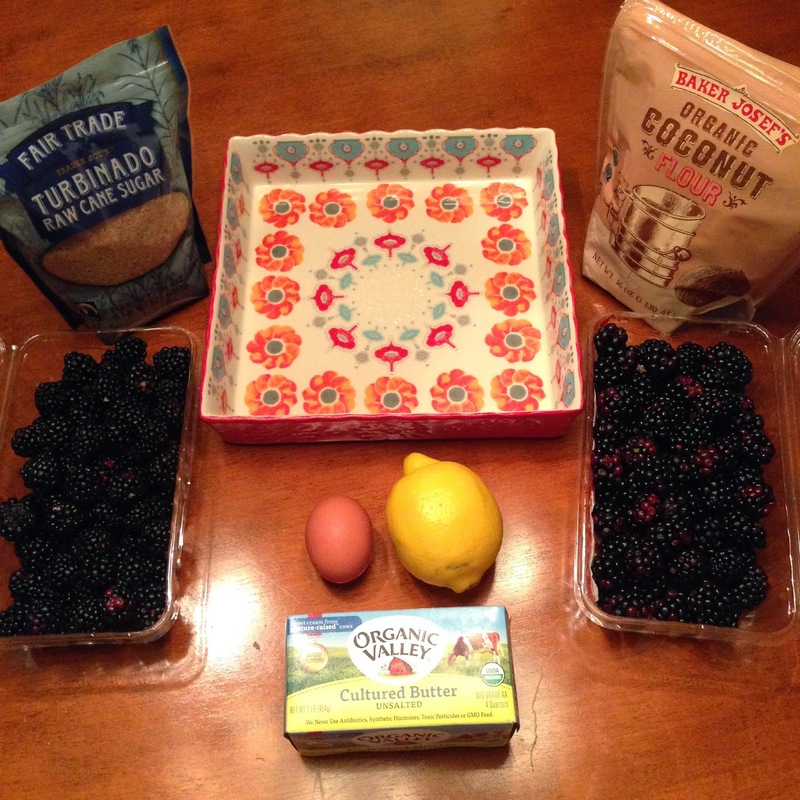 This week, I've decided the best way to do this is to make some homemade blackberry cobbler. Growing up, when I went to my Maw-maw & Paw-paw's house in Eastern Kentucky, I'd spend hours on the hillside picking perfectly ripened berries till my fingers turned purple. Then, I'd take them all into the house and my Maw-Maw would make the most mouthwatering cobbler this side of the holler. I didn't get a chance to pick any blackberries while we were visiting Kentucky, but luckily I have a lovely Farmer's market 5 minutes from my house with lots of locally grown goodies, so I picked up some berries from the Eckert's stand. I'm a momma and don't have tons of free time for baking, so I need quick and easy recipes that work around my little man's sleep schedule. This one from Southern Living was perfect! I only altered it a little. Let me know what you think if you try it! 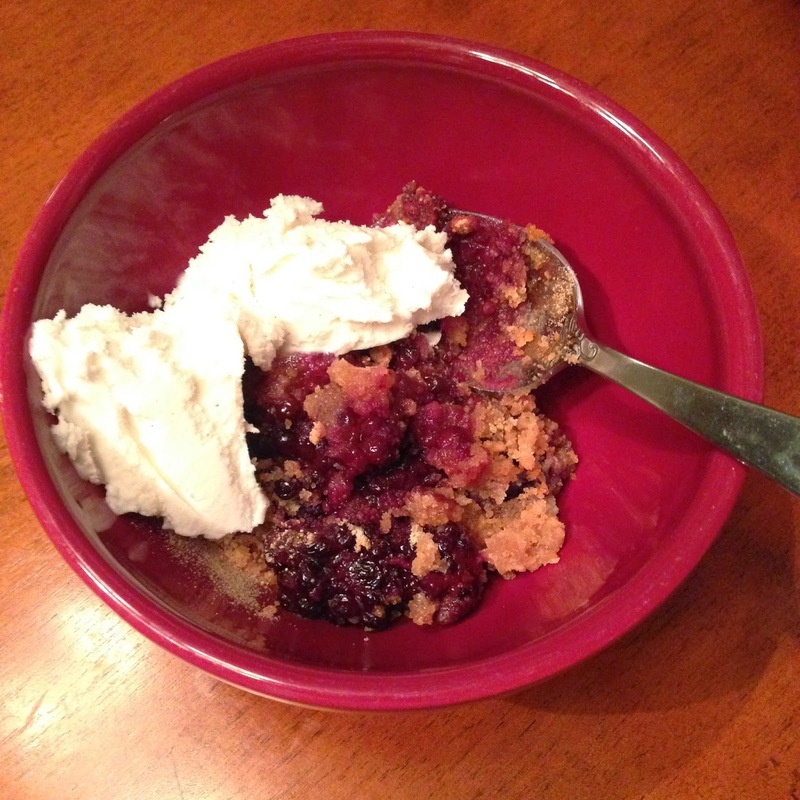 Or if you have a favorite cobbler recipe, feel free to share. Bon appétit, y'all! 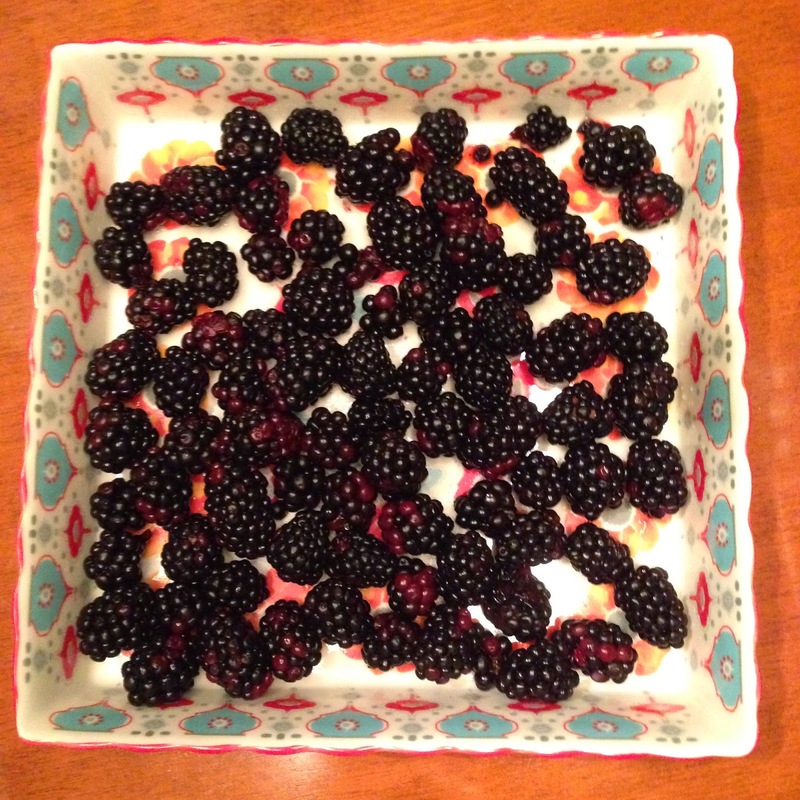 4 cups of homegrown blackberries from Eckert's. The most important ingredient! Vanilla ice cream to scoop on top, because you can't have cobbler without ice cream! Preheat oven to 375 degrees. 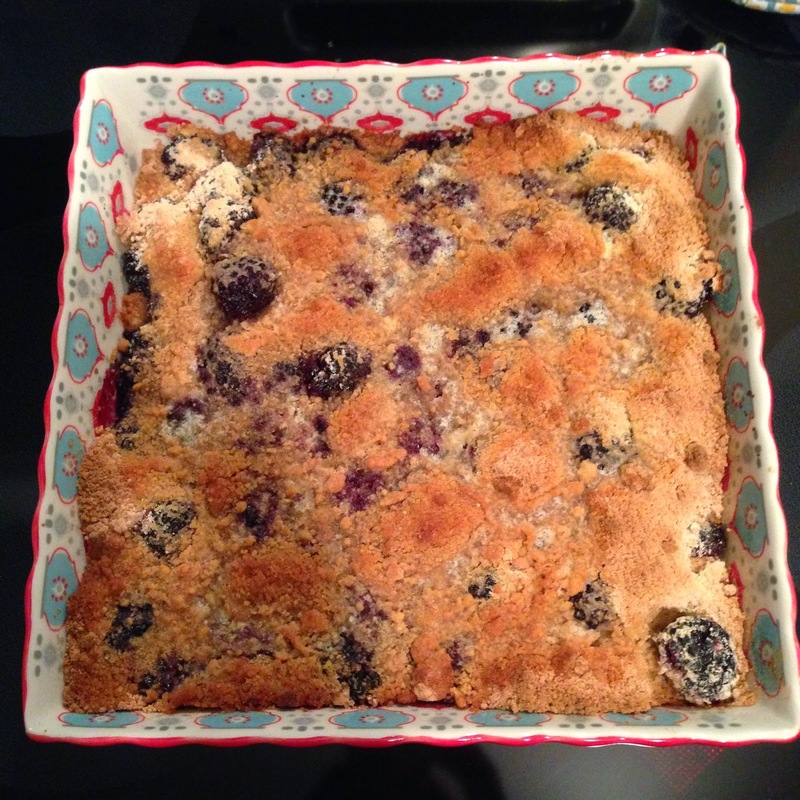 Wash all berries and place them in a square baking dish, like the one I used from Anthropologie! Squeeze one half of a lemon over the berries and set aside. Mix egg, flour, and sugar in a mixing bowl until crumbly. Sprinkle over berries and then drizzle melted butter over top. Bake for 35 minutes, and then let stand until slightly cool. Top with two or three scoops of vanilla ice cream and enjoy!